Speculation is the buying of an asset or financial instrument with the hope that the price of the asset or financial instrument will increase in the future. Speculative investors tend to make decisions more often based on technical analysis of market price action rather than on fundamental analysis of an asset or securityStockWhat is a stock? An individual who owns stock in a company is called a shareholder and is eligible to claim part of the company’s residual assets and earnings (should the company ever be dissolved). The terms "stock", "shares", and "equity" are used interchangeably.. They also tend to be more active market traders – often seeking to profit from short-term price fluctuations – as opposed to being “buy and hold” investors. Speculation is often frowned upon and derided by many financial experts. However, the truth is that speculators do not deserve the common public perception that casts them as “bad guys”. Speculators aren’t bad guys – they’re helpful guys (and gals). Speculators are the people who create fortunes, nourish ideas, businesses, and economies, and who help create “the next big thing”. Bill Gates and Steve Jobs were speculators; Warren Buffett is a speculator. Venture capitalists – the people who fund start-ups for new ideas and new businesses – are speculators. In short, speculators are an important and valuable part of the world’s financial markets. An investor is concerned with the fundamental value of his investment, whereas a speculator is only concerned with market price movement. In other words, for example, a speculator doesn’t really care if a company is performing well or poorly – only about whether or not he can profit from trading the company’s stock. Bullish Speculator – A bullish speculator expects prices of securities to rise. A bull is a speculator who buys the securities with the hope of selling them at a higher price in the future. Bearish Speculator – A bearish speculator is one who expects prices of securities will fall in the future. A bearish speculator sells short securities, aiming to profit from being able to repurchase them at a lower price at some point in the future. One of the notable characteristics of speculators is that they readily trade in both bull and bear markets, being equally comfortable with both buying long and selling short. Welfare of the Economy – Speculators, who are typically willing to take on greater investment risk than the average investor, are more willing to invest in a company, asset, or security that is unproven or whose stock is trading at a very low price, during times or in situations where more conservative investors shy away. Thus, speculators often provide the capital that enables young companies to grow and expand, or that provides price support for assets or industries that have temporarily fallen on financially hard times or out of favor. In this way, speculators help to support and drive forward the overall economy. Market Liquidity – Speculators add liquidity to the markets by actively trading. A market without speculators would be an illiquid market, characterized by large spreads between bid and ask prices, and where it might be very difficult for investors to buy or sell investments at a fair market price. The participation of speculators keeps markets fluid and helps facilitate easy exchange between buyers and sellers at all times. Risk Bearing – The higher risk tolerance of speculators translates to financing for companies being more widely and readily available. Speculators are willing to risk lending money to companies, governments, or business ventures that either do not have established credit or that currently have a poor credit rating. Without speculators, the only businesses able to obtain loans would be those large, already established firms with a stellar credit rating. Unreasonable Prices – Speculation can sometimes push prices beyond reasonable levels, to excessively high or low valuations that do not accurately reflect an asset or security’s true intrinsic value. This means that speculation may lead to price fluctuations that, even though they are merely temporary, can have a long-term impact on the fortunes and stability of a company, an industry, or even a whole economy. For example, some economists and market analysts have argued that extremely high oil prices early in the 21st century – around $100 a barrel – were due more to widespread speculation than to actual supply and demand conditions in the marketplace. Economic Bubble­s – A related disadvantage to unreasonable prices is that rampant speculation is often connected with economic bubbles, which form due to an unrealistically high rise in prices. A speculative bubble results from demand by speculators initially driving prices higher, which then draws in more speculators, driving prices even higher. This cycle is repeated – rising prices as a result of increased demand from speculators, followed by new buyers attracted by the rapidly rising prices increasing demand further, driving the market to even higher prices – until the bubble bursts and prices dramatically decline. The housing bubble was an example of this: Real estate investors paid higher and higher prices for real estate, expecting prices to continue rising indefinitely. When the price rise finally stalled out and prices began to fall back toward more realistic, fair market price levels, many investors in real estate found themselves overextended and stuck with properties that were now worth less than what they had paid for them. Stocks that are considered highly risky in the stock market are known as speculative stocks. Speculative stocks offer potential high returns to compensate for the high risk associated with them. Penny stocks with very low share prices are an example of speculative stocks. Some stock market speculators are day traders who seek to profit from the intraday fluctuations in stock prices that occur within the trading day. As noted above, speculators are important to publicly-traded companies because they are willing to invest in unproven companies, providing those companies with equity funding that enables them to grow and expand their market reach. The foreign currency exchange (forex) market is popular with speculators because of the fact there are constant fluctuations in the exchange rates between currencies, both on an intraday and long-term basis. The currency market also provides frequent trading opportunities due to the many different currency pairs that are available for trading. For example, the exchange rate of the US dollar can be traded relative to more than a dozen other currencies worldwide. Among the most commonly traded currency pairs are Eur/Usd (the euro vs. the dollar), Gbp/Usd (the British pound vs. the dollar), and Usd/Jpy (the dollar vs. the Japanese yen). Forex trading is also popular with speculators because of the high amount of leverage available, which makes it easy for traders to generate substantial profits using only a small amount of trading capital. In the commodity markets, speculation is important to control the price volatility of commodities because without speculators there would be only a very limited number of market participants. Commodities are much less widely traded than stocks. Speculators add significantly more liquidity to the commodity markets, thereby helping to facilitate trading among all the market participants. Speculation in commodity futures is popular because, like forex trading, commodity trading offers traders high amounts of leverage. Speculators also influence prices of commodities in a way that helps to protect against massive price swings by using futures contracts to encourage buyers to stockpile in order to prevent shortages. Speculators, by vastly increasing the number of market participants, also importantly serve to prevent market manipulation. With so many traders holding a variety of trading positions, it is difficult for even the largest participants in the market to successfully manipulate prices or “corner the market” (take control of virtually all the supply of a commodity). Speculation remains a primary force in the financial markets, regardless of the Dodd-Frank Act’s attempt to curtail it. 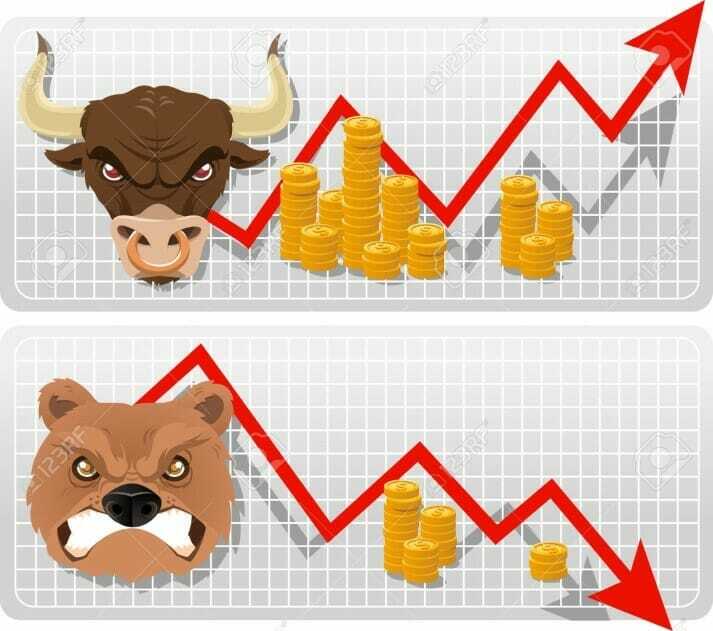 As long as there is trading in assets and financial instruments, with the potential for profit, there will be speculators aiming to make money.